-Nail colors (In this nail art must choose the soft and cute colors). -Cute stickers. (Different kind of stickers are available in market, you can use the cute ones). -Top coat i.e. transparent nail color. 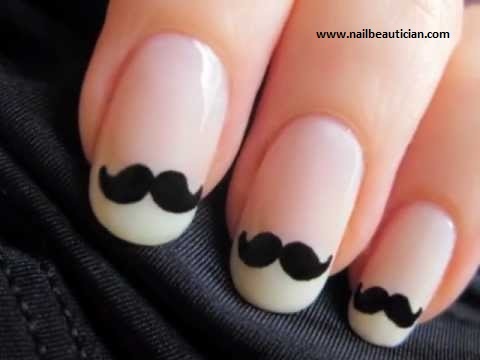 How to do Cute Nail Art? 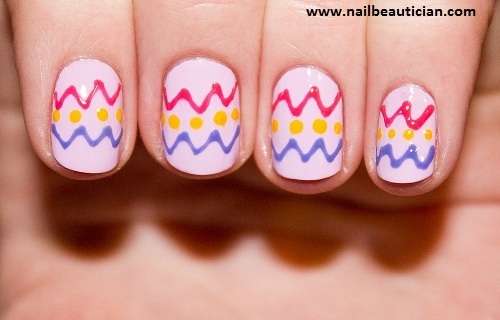 Here are the following steps that should be followed to make cute nail art on your nails. -Now apply the nail color (Use the soft nail colors such as baby pink etc). -Let the nail color dry properly. -Now apply the cute sticker on your nails. It is your choice to put stickers on all the nails, or to put on one. -Take some time until the sticker settle down, press it with some tool, so it stick properly. -Now apply the transparent nail color for providing the finishing touch. Here i am sharing some of the cute nail art designs that are best for carrying on any occassion, or even you can carry it casually.